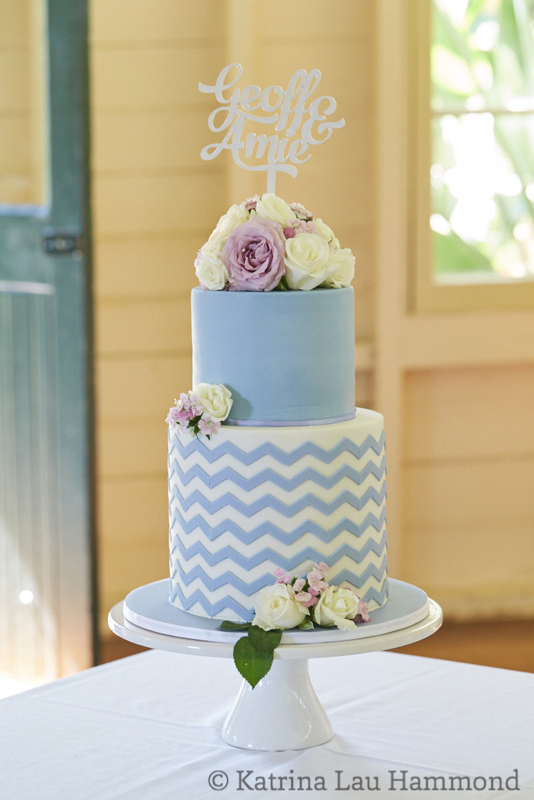 At 34 weeks pregnant, I had promised to design, create, and deliver a wedding cake for Geoff and Amie. It was unusually hot that March, and when I delivered the cake to the venue in the mid afternoon, I feared for the integrity of the cake. The wedding reception was at one of the best locations in Sydney, but truth be told, the venue was a converted old barn, on a sweltering hot day, with no air conditioning. They offered to turn the ceiling fans on, to push the hot humid air around the room. I crossed my fingers as I left. 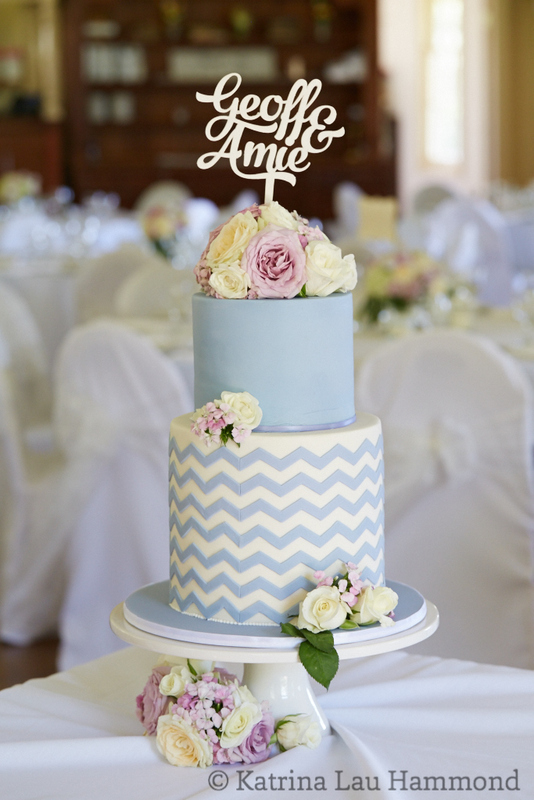 Fortunately the cake stood firm, was colour matched to their wedding invitation and tasted delicious. And I gave birth to my second child exactly one week later!